Never lose hope no matter what obstacles you're faced with and carry hope with you every day when you use one of our breast cancer bags. This tote bag may be featured in one of our design colors so you can spread awareness for the cause that is dear to you. 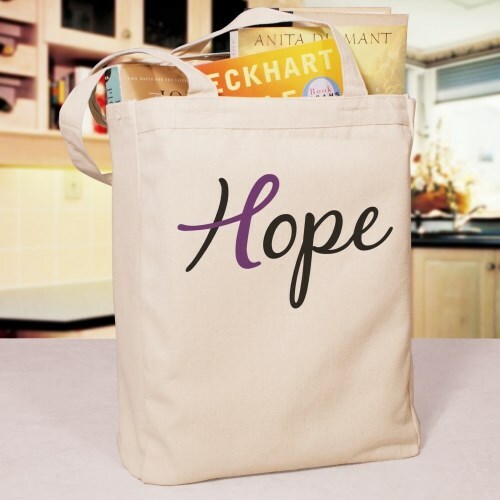 This Hope Awareness design is available on our 100% cotton, canvas tote bag. This eco-friendly tote bag measures 16” H x 14” W. It is especially strong to hold your take-along items.